Siding is vitally important to keep your home protected and beautiful. Aluminum is one of the most protective kinds of siding for your home. It is also the most durable and is very ecologically friendly. Advances in building materials has created aluminum siding that looks exactly like natural cedar siding, and looks nice on the exterior of any home. Aluminum siding has many benefits. 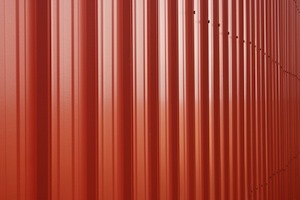 Aluminum siding is long lasting and fade resistant. This means that it will require less upkeep than other kinds of siding. Since it can be recycled when it is time to replace your siding, it has a smaller environmental impact. It also creates a extra level of insulation for your home, so it is energy efficient. Aluminum siding is considered to be the strongest form of siding you can have. It will not become damaged and will add extreme strength to the infrastructure of your home. If you are interested in installing aluminum siding for your home, talk to a siding and roofing specialist from All Storm Solutions. We can advise you on the best type of aluminum siding for your home. We can explain how siding can protect your home from wind and rainstorms. Ask us any questions that you may have about your siding and how we can help you with your home's construction. We want to make sure that you are prepared for any type of storm that can harm your home. Call All Storm Solutions for more information on what aluminum siding can do for your home or property.